Noel Jenkins of Digital Geography points to a great teaching resource created by Jon Parker. Jon has created a Google Maps mashup that overlays a relief map on top of Google Maps. 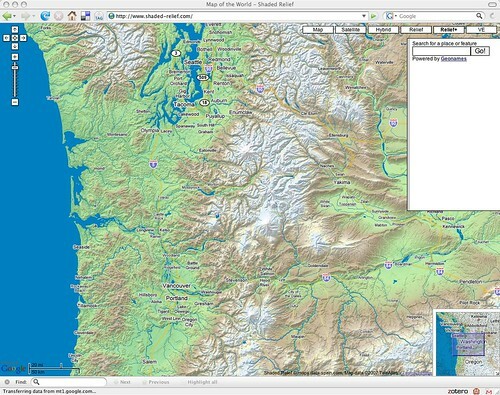 His site, shaded-relief.com provides a number of options for moving from one view to another.